A Bill, which would make it an offence to import or sell goods or services originating from an occupied territory, has made some progress in the Irish legislature. The controversial Control of Economic Activities (Occupied Territories) Bill 2018 passed second stage in the Seanad, in July 2018. To become law, this Private Members’ Bill, would have to pass all five stages in both Houses of the Oireachtas (the Irish parliament): the Seanad and the Dail. So far, the Bill has the support all of the opposition parties, including Fianna Fáil (the leading opposition party). 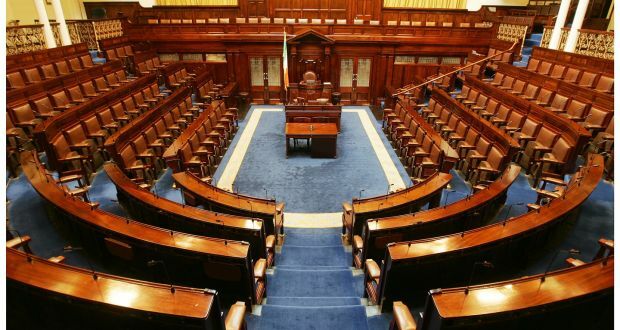 The Bill is opposed by Fine Gael, the party in Government, but considering the current parliamentary arithmetic and the politically charged nature of the topic, it may well be worth continuing to monitor whether this Bill makes any further progress. The Bill will make it an offence to import or sell goods or services originating from an “occupied territory”. The Bill defines an “occupied territory” as a territory occupied within the meaning of the Fourth Geneva Convention, which prohibits countries from moving a part of its population into other territories which it occupies in the context of war, and which has been confirmed as such in a decision by either the International Court of Justice, the International Criminal Court or any other international tribunal. At present, only the Israeli settlements in Palestine (Gaza and the West Bank) have been confirmed by the International Court of Justice as falling under this remit. The Bill may also include other territories so long as there is consensus between the Minister for Foreign Affairs and Trade and both Houses of the Oireachtas. The Bill will apply to all individuals who are Irish citizens or are ordinarily resident in the State, certain incorporated entities as well as unincorporated entities whose centre of control is exercised within the State. Those found guilty of an offence will be liable on a summary conviction to a maximum fine of €5,000 or to a maximum imprisonment of twelve months or both, while those convicted on indictment will be liable to a maximum fine of €250,000 or to a maximum imprisonment of five years or both. Are unilateral restrictions on trade compatible with EU law? The Government, which opposes the Bill on legal and political grounds, alleges that it cannot enact the Bill even if it wished to so, as matters of international trade fall under the Common Commercial Policy of the EU. As per Article 3 of the Treaty on the Functioning of the European Union (TFEU), this is an exclusive competence of the EU. However, there are exceptions to the rule and a Member State may unilaterally adopt measures on trade where specifically authorised in an act of the Union or if it can justify its action “on grounds of public morality, public policy or public security and the protection of health and life of humans." Supporters of the Bill argue that the restriction can be justified on the public policy exception as the creation of settlements in the West Bank violates international humanitarian law, in particular the Fourth Geneva Convention. However, it is the Government’s position that reliance on the public policy argument is not well founded and that the Court of Justice of the European Union offers a very narrow interpretation to unilateral restrictions imposed by Member States. The Bill makes it clear that it will only apply to goods and services emanating from settlement areas and not all of Israel. It is unknown in what amounts that goods and services from settlement areas are imported into Ireland. EU wide figures indicate that the volume of exports from the settlement areas into the EU is very low in comparison to the overall volume of goods and services imported into the EU from Israel (under 1%). However, the Bill also raises a number of questions which have yet to be clarified. Concerning its scope of application, it is unclear from the current drafting of the Bill whether it only applies to goods and services that are destined for Ireland or whether or not it extends to goods and services that are destined for other jurisdictions. It is also unclear which type of companies it relates to and, in particular, how it might affect Irish registered companies which form part of a corporate group whose ultimate holding company is based outside of Ireland. A person or entity [falling under the scope of instrument], whether through an act or omission outside the State, who commits an offence under this Act is guilty of an offence and liable upon conviction to the penalty attached to the offence as if committed in Ireland. Given that the Bill purports to have extra-territorial effect, it is also unclear how it might interact with the trading relationships between other states and Israel. For example, it appears that US federal law prohibits US companies from participating in foreign boycotts that are not endorsed by the US Government. Therefore, the Bill could potentially put US corporate groups which include an Irish registered entity in a conundrum as to whether to comply with Irish law or US law.